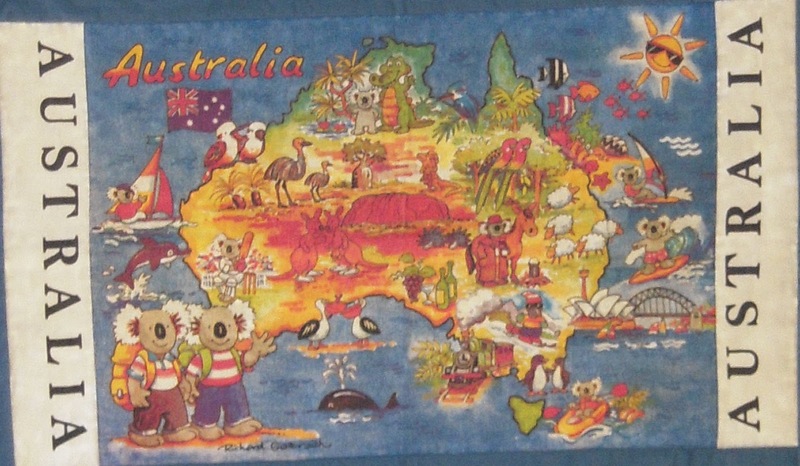 Fun bright 1980's celebration of all things Australian. I'm in a challenge for me to source some bright vintage fabrics that will not over power the this great time capsule image. Fun!! I look forward to seeing what you add! Oh how adorable and inspirational! Oh I think you can only add fabulous to this! ;-) cute! I can't wait to see what you come up with! My tea towel looks rather plain in comparison.... lol!